The journey began north of Gothenburg on the main road E20 and then through the central parts of the city and the end was south on E20. 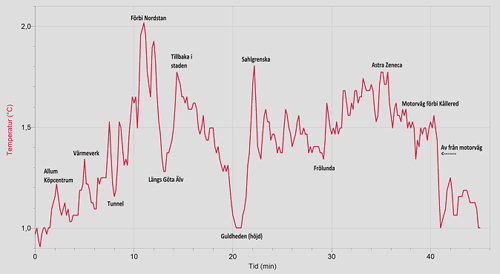 On the chart, you can see the heat spots in Gothenburg but also the elevation effect. Will post the entire report during the weekend.